Many suppliers fall out of compliance by telling their customers what they think is important about their products. Auto parts retailers represent the interests of the professional installers and the serious do-it-yourselfers who know what is critical to their vehicle repair and maintenance needs. Yet, many mechanics must cope with the moving target of new vehicle additions and shifting OE fitment patterns. Our team at River’s Edge is a boutique software provider committed to empowering your business by building deliverable catalog information that satisfies the auto care industry standards. Our goal is to strengthen your ability to manage the exchange of automotive applications and product attribute data. Regardless of the condition of your catalog files, our Auto Plus software packages will help you thrive in the auto care marketplace. 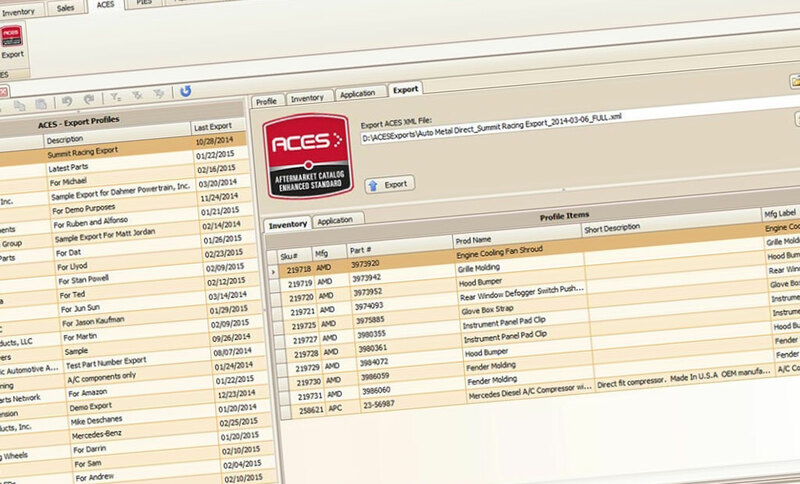 Our core ACES and PIES catalog mapping modules, supported by our software developers, are designed to mold your fitment records into a sound “fit” that tops the requirements set by your trading partners. This software offers a structure that unifies the core factual data elements into a prescribed, machine readable format for your stakeholders. Our intuitive mapping software enables your users to create, manage, import, and export validated data and files. In real-time, each database entry is electronically compared against the industry standard. Upon approval, the ACES XML formatted data is ready for transfer to your stakeholder. This software functions in a similar, but subjective approach by synchronizing the practical and saleable elements of a product that a supplier’s buying and marketing managers need to do their jobs. Like ACES, our mapping software ensures that the proper attributes populate the correct database fields before the validated content reaches your trading partner’s system via the PIES XML formatted file. Rest assured, we have the means to convert any legacy file into the harmonized standard. These services make it easy to construct HTTP services for web browsers and mobile devices. API can be used by any developer on any platform. Many of our customers value this interactive feature with their viewers researching content rich information about their product category. This portal permits administrators and their direct reports to manage their data enshrouded in a protected work space. How deep and how far someone navigates the cataloging, inventory, and maintenance space depends on how much latitude the administrator authorizes each employee. Our clients favor this option because they control of the process. Contact us today to schedule an online demo.